As a macrobiotic counselor, I consider it a privilege to share my personal experience with you and guide you through the process of successfully implementing macrobiotic principles in your life to achieve optimum health. Recognition of its effectiveness as one of the foremost natural health alternatives is now established. The macrobiotic approach to health encompasses a universal theme that speaks to us all. Macrobiotics is like molding clay. You can shape and form it to fit into just the right place in your life which served you most. My goal is to help you discover how easy it can be and how quickly you can apply macrobiotic principles to your own individual needs; while at the same time, achieving your goals and getting your health back. As you take charge of your life, I will guide you while you continue to more fully realize and satisfy your desire for freedom and happiness. The key to physical, emotional, and spiritual well being is being able to maintain balance. I will help you find that "key." My commitment to you is to help you learn that the way to do this is by embracing the macrobiotic philosophy of natural living through diet and lifestyle. And because we have chosen one way in the past does not mean we have to continue that way, but it could be one of the choices when we add other possibilities. Limitless resources from which you may choose, await you behind each new door. As each new door opens, you will be free to choose what you really want. As our counseling relationship grows, you will become more aware of your uniqueness, how it can influence others as well as our environment. I view my on-going support to you as a serious obligation. One that requires the art of designing a program of dietary reccomendations specific to your highly personal needs and circumstances. Furthermore, I am commited to making myself availible to answer questions that may arise either by phone or email. Therefore, I invite you now to accompany me on this journey as you explore the well spring of possibilities availible to you. 'The 90 min. documentary feature transcends all original subject matters of a cancer-survivor story, up to date. Its primary character, Mina Dobic is 20 years cancer free and currently one of the world leading alternative medicine counselors. Up to date, besides the growing number of celebrities, most of whom are counseled by Mina, the macrobiotics has simply not yet had the universal exposure needed to bring it to the masses. 'With Love, Mina' documentary feature, besides covering an amazing biographical accounts of its main character, Mina Dobic; her reflections on recovery and most intimate relationships with her family and closest friends, covers in number of subplots the stories of other Macrobiotic practitioners and cancer survivors, experiences and comments on the subject by the Western Medical Practitioners, various attended, story relevant events and interviews with celebrities. Although this is a project with a conscience, "With Love, Mina" is not just another 'miracle story'. The drama recounted here is one that is being acted out in family after family, city after city, country upon country. The gritty reality of the subject this film focuses on transcends happy endings and demands an answer. In the end, that answer is clear, and uplifting - There is hope, and there is a way! Up to date the project is 90% complete and awaiting Post Production. Promotional Footage part of the 90 min. Documentary Feature. As a top academician in her home country of the former Yugoslavia, Mina Dobic led a privileged life. That all changed in 1987, when Mina was diagnosed with stage IV ovarian cancer that had metastasized to her liver, bones and lymph system. Mina’s doctors gave her only two months to live. She reviewed the literature and quickly realized that the chemotherapy and radiation treatment offered by her physicians was not a viable option. Instead, she did something remarkable: She decided to adopt the macrobiotic way of life. Six and a half months later, Mina Dobic was cancer free. My Beautiful Life tells her story. The course that Mina Dobic and her family took is a modern odyssey that weaves together many of the critical issues of the last half century—the struggle between repression and a free society, the conflict between conventional medicine and holistic health, and the forces that pull the modern family apart even as members strive to hold it together. During her journey to wellness, Mina passed from cancer victim to cancer survivor, from patient to healer, from student to teacher. My Beautiful Life not only eloquently explains how Mina recovered from cancer, but also details how cancer can be prevented through diet and a simple philosophy of living in balance with nature. Click here to learn more about "My Beautiful Life"
or to Order Online What is Macrobiotics? Macrobiotics is neither an empirical folk medicine nor a mystical, palliative, religious, scientific, spiritual, symptomatic technique. It is the biological and physiological application of Oriental philosophy and medicine, a dialectial conception of the infinite universe. This approach is five thousand years old and shows the way to happiness via health. It is very simple in practice. Anyone can adopt it in his daily life, anywhere, anytime, if he genuinely wants to be free of all physiological or mental difficulties. It is because of the Macrobiotic teachings of Lao-tse, Sun Tzu-wu, Confucius, Buddha, Nagarjuna, the Shintoists, andlong before them, the sages who produced the greateset medical science of India, that millions of people in the Far East enjoyed happiness and freedom, culture and comparative peace for thousands of years. They, along with the ancient Greeks, knew that a sound, clear mind cannot exist in a tense, disturbed body. "This book is simple but lovely. I have personally had Mina Dobic as my teacher and councelor for over 3 years now and can honestly say she and the macrobiotic lifestyle have made a tremendous difference in my life. I look and feel younger, and when I follow her instructions I feel just like "super-woman!" If there was one perfect individual to recommend this book to it would have to be to a person who is suffering from a serious illness such as cancer. From this book you'll learn that there IS hope and there is another option in the way of healing. Mina Dobic's "My Beautiful Life" is proof that macrobiotics really does work!" Upon reading this gem of a book I felt overwhelmingly inspired to alter my way of life and take a healthier and more simplistic approach to healing myself and raising my children. Mina's story touches on a groundbreaking topic that is on the horizon of alternative medicine - Macrobiotics. The way in which Mina recounts her own battle against cancer and her heroic victory is not only inspiring, but also brings hope to those people who are facing grave illness and have nowhere else to turn. She offers her direct knowledge and personal experiences as true examples of how diet and lifestyle choices can directly impact your physical, mental and emotional health. 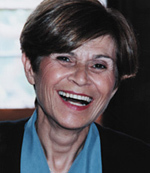 Her education, training and insightful wisdom as a Macrobiotic Counselor are a true testament of her fervent dedication to spreading the awareness about Macrobiotics around the world. Mina is a powerful advocate for public health and an unwavering beacon of truth. Most importantly, Mina is a professional Instructor who wholeheartedly practices what she preaches. Mina has done everyone a great service. Her story is a modern profile in courage. Against all odds she recovered her health, peace, and life. This book is a gem! Whoever heard of Mina, had a chance to meet her, work with her or read her book knows what a generous and insightful individual she is. And if you've tried to purchase her book then you know how difficult it has been to get a hold of a copy - because the first edition is SOLD OUT. Following pure logic, it would be paradoxical to conclude or pronounce that this book, now in second edition, is poorly written or accusatory proclaiming a writer a quack with a capitalist agenda. That is just pure arrogance. By writing a scathing review of this book, one would only be prohibiting those in critical condition from working their way back to health. Because certain individuals have decided to unload their aggression on something and someone that they know very little - or nothing - about is ludicrous. After all, Mina's book was adopted into the literary archives at the Smithsonian Institution in Washington DC and it is not so often that an author is granted with such an honorable privilege. Mina's story is insightful and written in an unselfish tone rich with passion and a genuine love for life. Anyone that has ever wanted to fight their illness and succeed should read this book as a firts-hand example that it can be done. Luckily, this book came to me at a time of crisis. Mina's story inspired me to change my own life and health. No matter what medical science has to say about how diet, lifestyle or emotions affect our healing there is one indisputable fact, Mina after being diagnosised with terminal cancer is still here almost 20 years later to tell her story. I personally will be forever grateful to her for sharing her story. A story that has helped so many others to create their own stories of healing in their own lives. I thank Mina and macrobiotics for my wonderful health and for helping me to create my own wonderful life. improve your lifestyle, even help you heal yourself. Twenty years ago Mina was diagnosed with a terminal cancer and still, considering of what painful ordeal she went through, she courageously chose a way of seeking healthful alternatives to recover from a particularly serious disease. We might think how fortunate she is to able to seek solace in such a path, but that path of healing was chosen by her, because she believed in it. That belief kept her going and today she is a living proof that if we take charge of our own health, we can conquer almost any disease. Whatever our opinion of her reasons for this journey, with her story, Mina showed that she is an excellent writer. In every chapter, she brings forward her wit, intellect, love and heart. More than that, she brought a great deal of courage, to share her story, her experience with others, with one goal only - to help as many people to heal themselves from serious illnesses. From that standpoint her book is as much interesting and successful as both a resource and motivational statement. Thank you Mina for this moving and encouraging book. Please, keep on teaching and inspiring people toward health and well-being. Macrobiotics isn't just miso soup or seaweed curing cancer - it is much more involved than that. It's about allowing your body to regain its healing power. Mina gives you a glimpse of what healing naturally looks like. Her journey is one of courage and perseverance against unfavorable odds from the medical community. More and more individuals are facing this same type of diagnosis or living with chronic illness. This book is an inspiration to many people whether they are facing a health challenge or just want to eat healthier and live a more natural lifestyle. Mina Dobic's book is an intensely personal testimony to her own triumph over one of the most deadly killer diseases on the planet - in her case ovarian cancer! Her purpose clearly is to open the door of hope to millions of desperate souls who have been diagnosed with "incurable" or advanced stage cancer - those who have undergone or are facing radical surgical procedures or debilitating Chemotherapy. In reading some recent reviews of her book on-line, I am mystified by some of her detractors. Why should we discount this courageous woman's personal victory? Is it because we don't want to admit that we are dissatisfied with what conventional medicine has to offer? The medical community is not the villain here, but the "best" they have to offer cancer patients is an extreme, almost barbaric approach, that in practice too often kills the patient with the cure! In effect these methods destroy the body's immune system in order to cure the disease. Thereby disabling our own God-given, natural defense system against disease! For many, it does seem a counter indicated path to take. Mina Dobic's philosophy - from her own personal story - seems to be; that if the body is somehow capable of growing and multiplying these diseased cancer cells - then that same body can also reverse itself and head back in the opposite direction and rebound to good health. She advocates this through a cleansing process (Macrobiotic Diet) that will starve the diseased cells and cause them to shrink and eventually disappear. Mina's approach- as outlined in her book - is not to discredit Surgeons and Oncologists whose motivation is also to cure...but to illustrate that if you have the guts to educate yourself and `take charge' of your own health and life...instead of abdicating that responsibility entirely over to the medical profession...You have a good chance of winning the battle! After all, there's always the option of combining both methods. Many surgeons today, welcome a combined approach to a cure. Granted, it requires courage, discipline and determination, but that's what Mina Dobic is all about! Mina is certainly not one of them! Since April of 1996 my wife and I are exploring macrobiotic way of living, cooking, thinking... and with our friends and families we see ongoing growth of health, peace and love around us. I often wish I knew this way when I was younger. I grow up as Judo competitive sportsman and I've tried many diets, but non of them had lasting effect on me, with no special meaning or depth... until I've had Mina's miso soup !!! That soup I will never forget. It was organic fresh corn miso that was so beautiful to eye, with rich yellow color, artistically tin diagonally cut organic green onions, with sweet taste that wormed my stomach and then that special pleasant current of energy that spread inside of me... That was the moment I knew i found my elixir. I never cooked before I thought it was waste of my time. Now I spend almost few ours in the kitchen every day. And now I consider that as the best investment in life. Cooking is precious, it is the most important art anybody can learn and it is alchemy of living . Our well being is our priority and I am happy to say that despite our long business ours, working as professionals in the film industry with average 12-14 hour days, we took active roll in our health. We took macrobiotic way as prevention, and although on each film production food is provided every six hours, in our short breaks we chose to eat food that we prepared fresh at home each morning in our loving atmosphere, and our kitchen became pharmacy of life. We cook our home remedies when we are out of balance. With my lovely wife Irena being great cook and as a partner curious artist, we together have achieved many new levels of personal transformation and we are still learning since there is no top of that mountain of personal rediscovery. Thanks to the that small group of courageous people who committed their lives to create positive difference in the world and spread the word, we have discovered the education about health, peace, love and personal freedom. Withought them this ancient knowledge would disappear and was already pushed in to the dark corner due to development of machines and industrialization. Thank you founders of the modern macrobiotic way George Ohsawa, Michio Kushi, and especially our dear friend and teacher Mina Dobic and their loving families. With you hope for healthier and happier world is alive. We are waiting to read more of your books and see you in more media on TV and films, that will inspire and support hugh audience to take on their health into their hands, until this human way becomes main stream and machines becomes museum artifacts. In the bigger circles of our influence it seems that organic consciousness of ancient wisdom combined with modern technological advancements is growing and there is possibility that we as human beings will transform our current physical and spiritual pollution into more positive way and with that achieve now unimaginable levels of human development.